Halloween is just around the corner and so that means this week are gearing up for the trick or treaters to come knocking on our door. We are also planning fun ideas for indoors too! 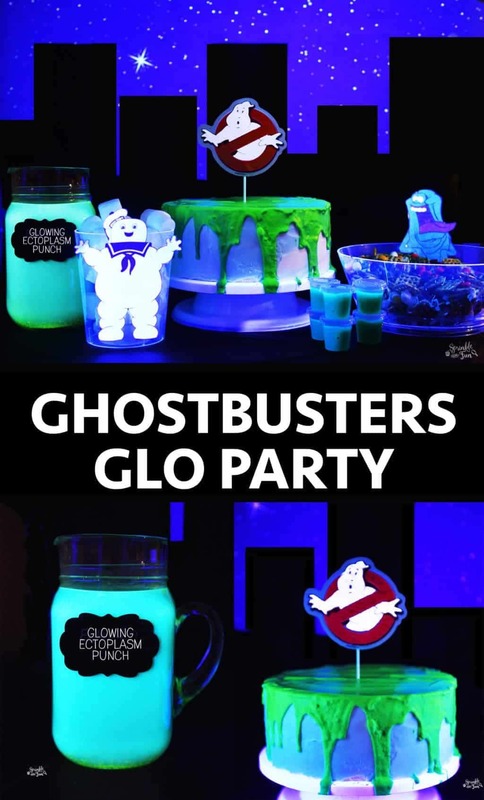 The new Ghostbusters movie is on Blu-ray DVD now I thought it would be fun to plan a Ghostbusters Glo Party for Halloween night! 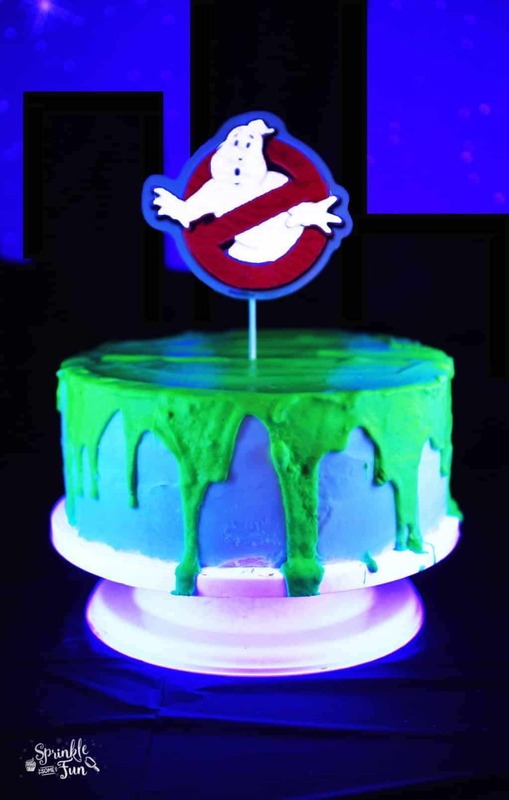 All it takes to make this party glow is a simple blacklight and a few secret ingredients to make sure they have optimum glow. Under the bright lights the party ideas are still really fun, but they don’t glow on their own. The blacklight adds a new dimension and having it made it fun all on it’s own! There are two ingredients that I used to make the food glow more than normal and that is Vitamin B2 and Tonic Water. The Vitamin B2 and Tonic Water looked awesome in the slime! 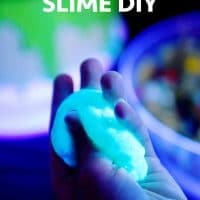 It made the slime NEON under the blacklight. Mix all ingredients together (except cake) until thoroughly mixed. Spread on top of the cake and let drip off the sides. Enjoy the glow under the black lights! 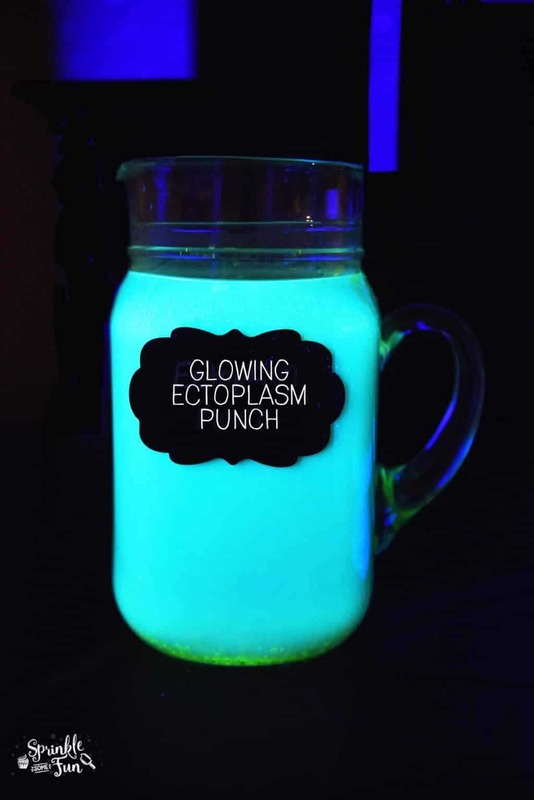 I used the Tonic Water in this Glowing Ectoplasm Punch too. Tonic Water has a bitter taste and so I added one cup to the mix along with ginger ale and green fruit-flavored soft drink. Under the lights it gives an aqua glow and without the lights it is just green. Pretty cool! Mix all ingredients together and serve in a clear container or punch bowl for the best glow! 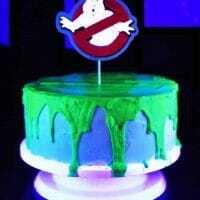 The glowing slime was made also with the tonic water. 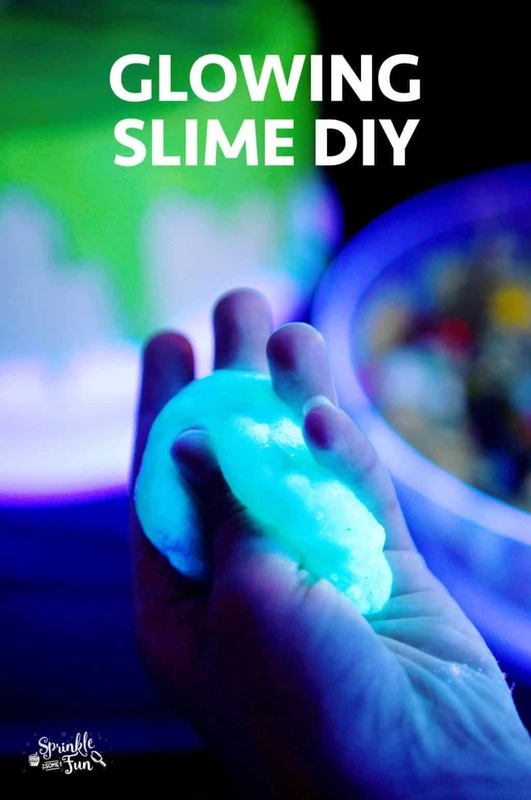 We had so much fun playing with it under the black lights! It makes a great party favor too by just placing it inside condiment cups! Whisk the ingredients together in a medium microwave safe bowl until smooth. Cook in the microwave on high for 5 minutes and then whisk again. It will still be runny so you'll want to keep cooking 4-5 minutes at a time until the mixture becomes the texture you like your slime. Let it cool completely before playing with it. Add it to condiment cups for an easy party favor! 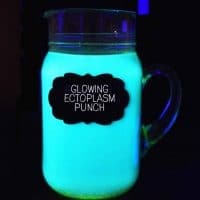 Enjoy under a blacklight and watch it glow! 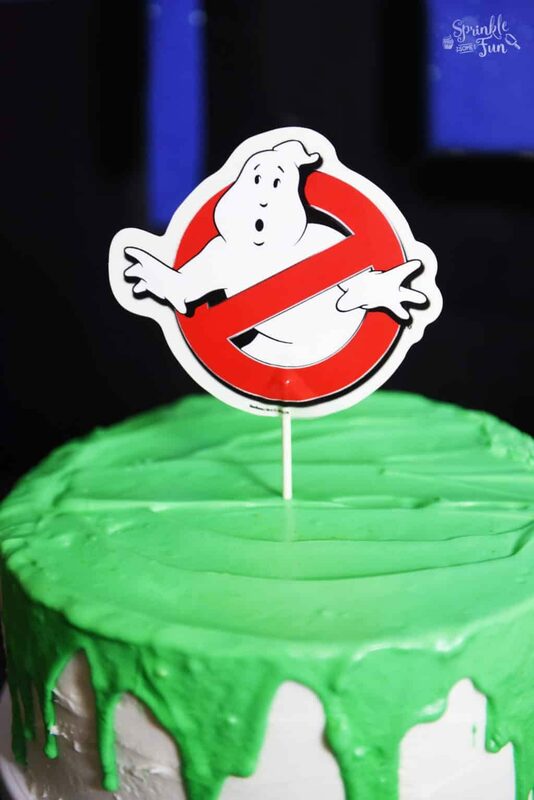 The other snacks we had for the Ghostbusters Party were really simple treats. I placed a container of marshmallows on the table with a picture of the marshmallow guy for an easy idea. I found all my clipart online and just printed them out as needed. I thought that Slimer should make his appearance too since he’s in the New Ghostbusters Movie! 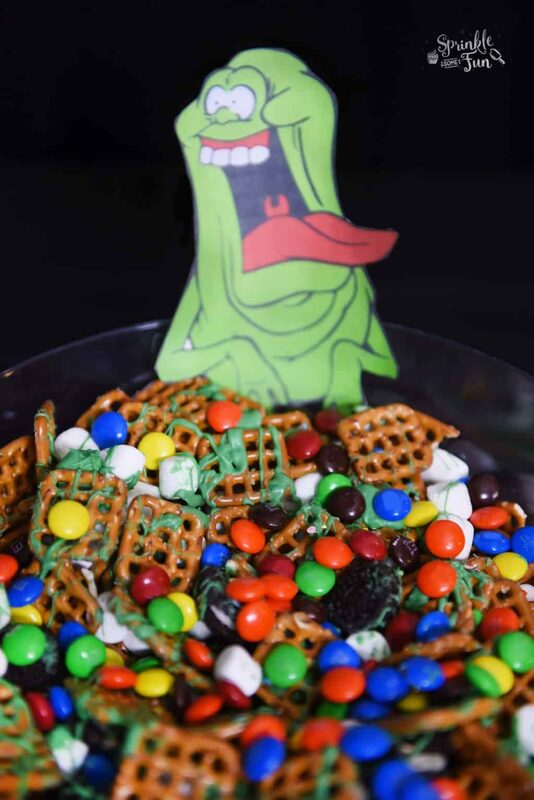 This Slimed Snack Mix is so easy. I combined several sweet and salty snacks and then drizzled some green chocolate melts on top! Easy! What’s fun is that the marshmallows and pretzels really glowed under the backlights! I got the idea for this party while shopping at Walmart. I noticed the new Ghostbuster movie is NOW AVAILABLE on Blu-ray, DVD and 4K Ultra HD! The one I got also is the extended edition with over 15 more minutes not seen in theaters plus over 3 hours of hilarious extras. We loved these features so I am glad we got them. I picked up a copy and then browsed for a little more. 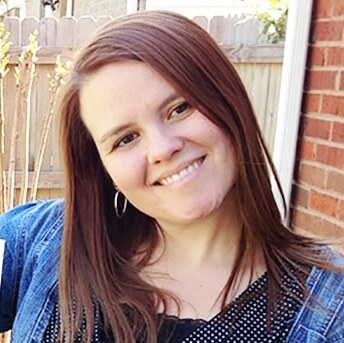 I’ve been thinking of getting a new mobile line for our family and I had been wondering how the Walmart Family Mobile compares. Walmart Family Mobile PLUS has Unlimited Talk, Text, Data; 10GB 4G LTE plus a free movie (rental, new release = $7 value) on VUDU every month, per line for $49.88. I was really impressed with these features and I love that we can stream a movie on our TV from VUDU every month with this plan. My kids have already picked out which ones they want to watch! 1. Visit an in-store demo event in your area which you can find an event here. 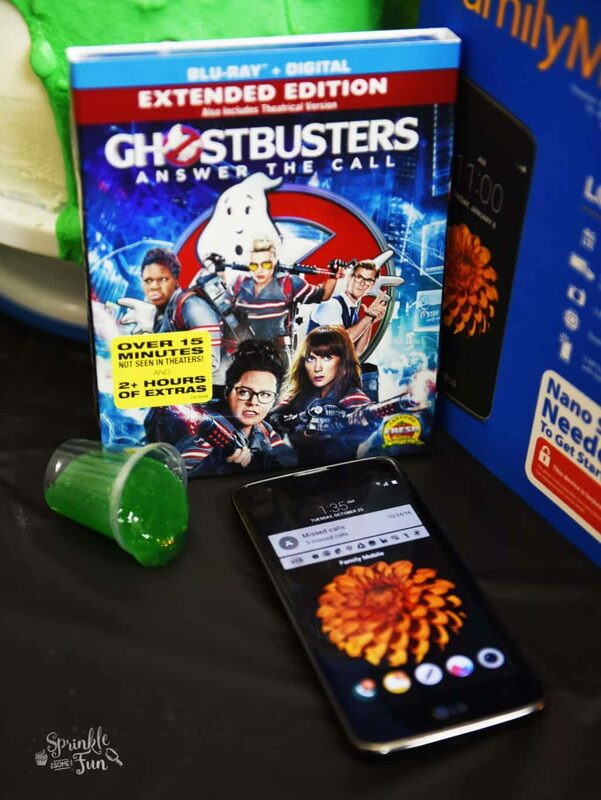 At the Walmart Family Mobile Event they can explain how to activate a new line and experience the free Ghostbusters Virtual Reality Experience! At the event you’ll find a brochure with details on the plan and VR experience + a plastic 3D hologram. 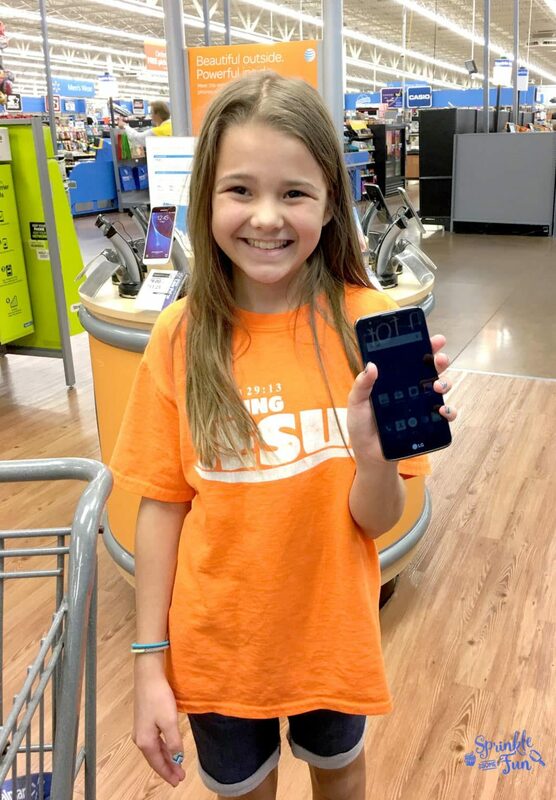 Check out the Walmart Family Mobile Hub page to find an event in your area where you can access the above features! 4. Download the app from Apple Store or Google Play to access the content. Make sure to get this offer by the end of the month!